This is the start of something fun and we’re glad you’re here! This is the start of something fun and we’re glad you’re here! 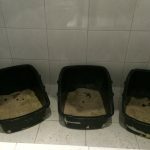 We’re the Poop Scoopers and The Poop Scoop Unleashed is a blog especially for dog owners, and dog lovers. We’ll be romping around untethered and wild sharing the stories and wisdom from our adventures. And we know what you’re thinking…. 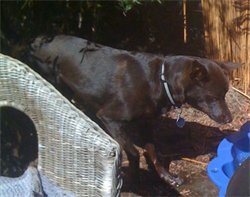 helping dog owners reclaim their backyard by removing all dog poop might not sound like a glamorous blog subject. 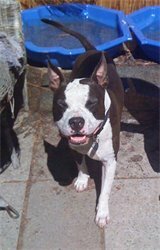 But we have so many funny moments with our doggie customers, that we thought it was about time we shared them. We’ll also be sharing some excellent tips for pet care, dog grooming, dog health and doggie events all around Perth. If you have a tip or an event or just a funny story about your dog, let us know with a comment! dogs and dog owners all around Perth. That’s Perth Australia, not Perth in Scotland where I’m sure we’d still love the dogs, but not the weather so much. Every week, we’ll be here with some must have knowledge, some nice to have tips and some dog related funnies to lift your day. See you next week! PS If you’re wondering who the handsome devil in the picture is, that’s Me, the Poop Scoop mascot! 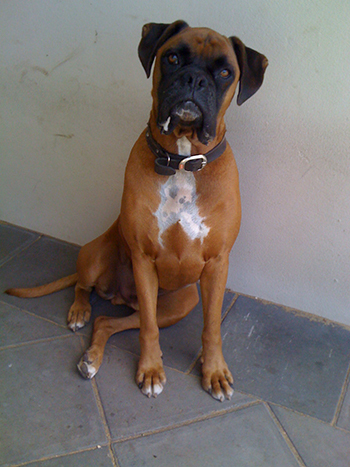 Last week I went to see the Boxers, Rocco and Junior (as I do every week). I was greeted by Rocco and he was thrilled to see me, wagging his tail and wanting me to try and get his toy off him. I couldn’t see Junior, so I thought he must be at the Vets. I continued on with the job in hand. 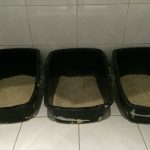 When I had finished the job, I saw that there was only one dog food bowl and only ONE bed! OMG! I thought to myself, poor Junior has passed away! So I said goodbye to Rocco, got in the van and I had tears streaming down my face. I finally pulled myself together before I got to Hugo and Phillipe’s house. When I arrived home, I thought I would send an email to the Fur Parents and asked what had happened. When I checked my emails, there was an email waiting for me…………”sorry, forgot to let you know that Junior is at my Parents house as Rocco is recovering from an Operation”!!!!! Phew……. Goodness me! Next time I will not come to the worst conclusion first. Hope your pets are keeping warm.